Last month I posted of my first love, historical fiction. Now I have to show my affection for my second love, everything dystopian/post-apocalyptic. I still remember years ago, slowing filling my bookshelves with stories of survival, bleak skies.. characters enduring hardships that make me feel brave by just reading about them. Here are a few dystopian/post-apocalyptic novels that stole my soul. An epic story of life, love and survival at all odds and one of the most-talked and anticipated books of the year. In a ruined and hostile landscape, in a future few have been unlucky enough to survive, a community exists in a giant underground silo. Inside, men and women live an enclosed life full of rules and regulations, of secrets and lies. To live, you must follow the rules. But some don't. These are the dangerous ones; these are the people who dare to hope and dream, and who infect others with their optimism. Their punishment is simple and deadly. They are allowed outside. Jules is one of these people. She may well be the last. I cannot express how much I loved this entire series. Wool is the first installment that kept me awake many nights. The world-building aspect of the novel is absolutely amazing. There are many characters to keep up with, but damn it was worth it. This is a lengthy novel, and so are the other two installments.. but I loved all the detail. It just made everything more realistic and believable. I urge EVERYONE to at least check out Wool, but I know if you do, you'll have to read the entire series! An epic and gripping tale of catastrophe and survival, The Passage is the story of Amy - abandoned by her mother at the age of six, pursued and then imprisoned by the shadowy figures behind a government experiment of apocalyptic proportions. But Special Agent Wolgast, the lawman sent to track her down, is disarmed by the curiously quiet girl - and risks everything to save her. As the experiment goes nightmarishly wrong, Wolgast secures her escape - but he can’t stop society’s collapse. And as Amy walks alone, across miles and decades, into a future dark with violence and despair, she is filled with the mysterious and terrifying knowledge that only she has the power to save the ruined world. This was another lengthly novel that I admit was a bit sluggish at times, but was once again worth it. I love how one of the main character completely changes his course halfway through the book.. and it felt completely genuine. A man decides to stake his entire life for one little girl. She may be the most special girl in the world, but to him, she was just a little girl in need of an adult. This story will always stay with me. 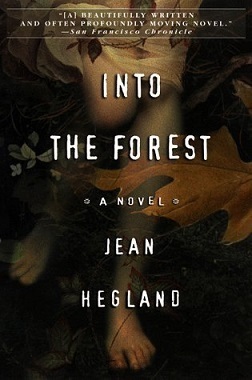 Set in the near-future, Into the Forest is a powerfully imagined novel that focuses on the relationship between two teenage sisters living alone in their Northern California forest home. Over 30 miles from the nearest town, and several miles away from their nearest neighbor, Nell and Eva struggle to survive as society begins to decay and collapse around them. No single event precedes society's fall. There is talk of a war overseas and upheaval in Congress, but it still comes as a shock when the electricity runs out and gas is nowhere to be found. The sisters consume the resources left in the house, waiting for the power to return. Their arrival into adulthood, however, forces them to reexamine their place in the world and their relationship to the land and each other. I remember reading this book years ago. Two sisters stay in the same house hoping and waiting for the power to come back on, for people to show up alive and well.. for anything normal really. Years and years pass and the sisters learn to live off their small garden and stock of dwindling supplies. The world is bleak and honestly, this book is as well. I think the realism and how the author didn't force a happy ending or any kind of "coincidences" of good fortunes for the sisters on us. I love dystopia, have done a couple of posts myself of late including starting my A to Z of Dystopia! I have never heard of Into the Forest will definitely check it out. 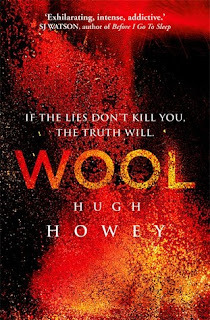 I'm actually reading The Passage just now, it is epic but hands down my favourite dystopian has to be Wool, the series is just magnificent, Hugh Howey is a total legend! Wool was SO amazing!! And there are two more books in the series! 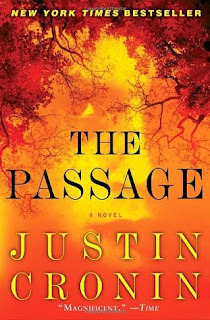 My husband, son, and I all loved The Passage, too - the sequel, The Twelve, was good but not as good. I absolutely loved both Wool and The Passage, so I will have to check out Into the Forest - thanks for the recommendation! I love dystopia novels. I enjoyed The Passage and The Twelve. I'll have to check out the other two you mentioned.